Here is my version of prepare-ChangeLog.pl, based on a version I found around the web, with a couple of formatting changes and incomplete git support. Here is webkit's heavily hacked version of prepare-ChangeLog.pl, apparently based on a separate version and without multiple ChangeLog support as far as I see, but with full git support. 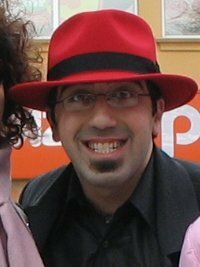 Who is the brave soul / fearless Perl hacker to merge them and create an authentic version and then add it to gnome-common? I also have a bunch of other gnome scripts I use here. Continuing the Git Migration thread from foundation-list, I have to agree with ebassi that git is designed to be highly scriptable. That's kind of a tautology as one can infer it from the fact that most git tools are written as scripts calling lower-level ones. You get the idea... However, the main point about migration to distributed source control systems is, you really should not keep your old workflows or you are ignoring most of the benefits. Non-technical users (translators?) can use these kind of scripts though. Last but not least, you can do cool things with git that you can't do with CVS. Motion Typography: 4 Approaches To Kinetic Text. Check out the videos. My favorite is the second one. I wish I could do something like these one day. Other than the fact that I don't have the artistic talent for it, all are done in Adobe After Effects. No idea if we have any comparable Free Software tools. Guess not. In other links, great Git for Computer Scientists intro. Thanks Federico! Didn't inflate my points by closing thousands of incoming bugs INCOMPLETE, but I do show up as top bug reported of the week right now. Write a shell script named pchdir that when run like pchdir /bin it will change the current directory of its parrent process to /bin. So, seems like I may not be around on Oct 13 to talk about GNOME at Ontario Linux Fest. To keep up with competition, I'm wondering if someone's willing to fill in that spot. Also, a deck of slides about new GNOME developments doesn't harm, if anyone has one around. Thanks in advance. Leslie blogged in Google Summer of Code blog about GNOME, linking to my summary and Lucas's. Tell her what you liked about GNOME's SoC participation this year. Which are your favorite projects?